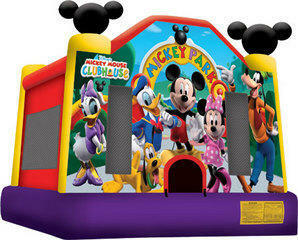 This Package comes with the Jump House 15x15= 150SQT = 8-10 Children. A Cotton Candy Machine with 50 servings, 1 Snowcone Machine 50 servings, 1 Folding Table , 6Folding Chairs !No Substitutions! Cotton Candy & Snowcone Machines only no substitutes.